In most countries, the Ministry of the Interior is responsible for disaster recovery and civil protection. 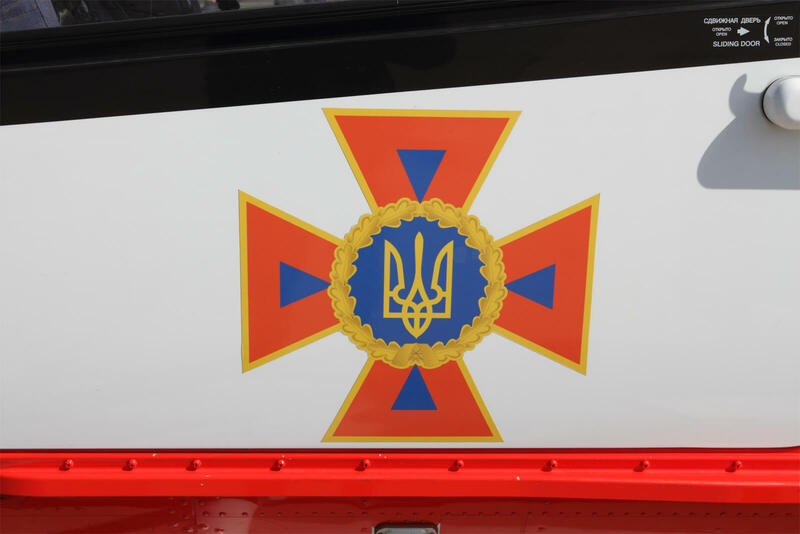 In Ukraine a special organisation has been created for this purpose: The State Emergency Service (formerly the Ministry for Emergencies) which was established soon after Ukraine gained independence. The Ministry celebrated its 20th anniversary in 2006. Shortly after the establishment of this Ministry, efforts were made to operate a flying component. The Ministry was renamed the State Emergency Service in December 2012. The military airfield Nizhyn, north-east of Kiev, which was home to the 199th Guards Independent Long-Range Reconnaissance Aviation Regiment (199th Guards ODRAP) with the Tupolev Tu-22R and Tu-22RM (NATO ‘Blinder”) long-range supersonic aircraft, was chosen as the new base for the Mil Mi-8 fleet and two Antonov An-30 and three An-26 transport aircraft which were transferred from the Air Force. This allowed for the redeployment of the 199th Guards ODRAP personnel to the new Ministry. 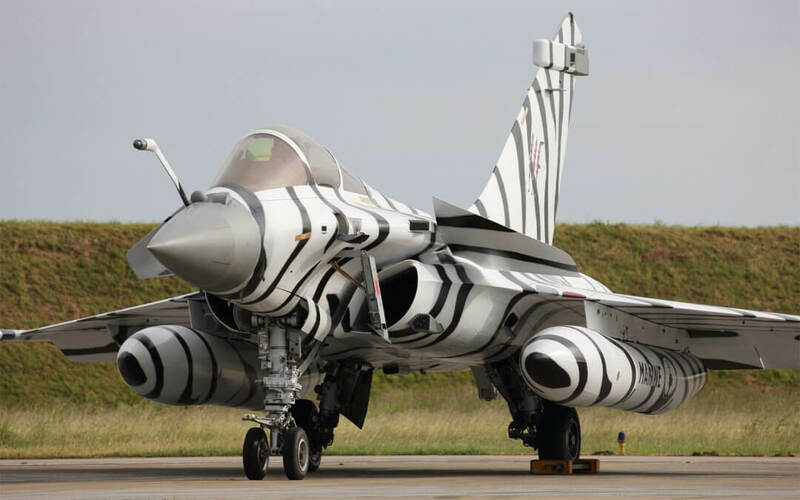 The aircraft were formally handed over on February 22, 1999. The pilots organised their first training flights in the new role in Nizhyn on 13 August 1999. Fittingly, thirteen flights were completed. 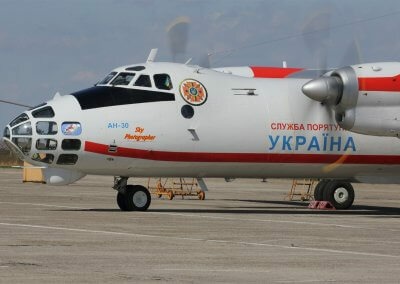 From then on, the main task was to monitor and operate in disaster regions and the built-in cameras and glass nose on the two An-30s serve this purpose well. 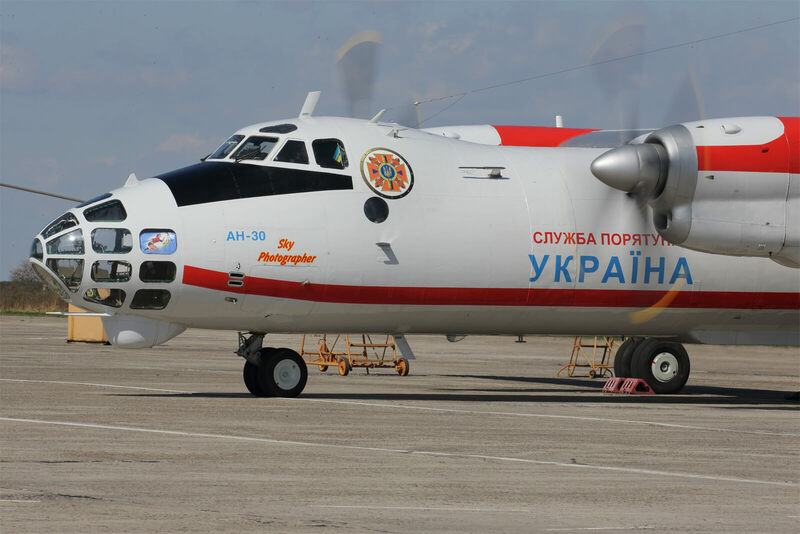 The An-26’s serve primarily for the transportation of personnel and medics directly to the injured. 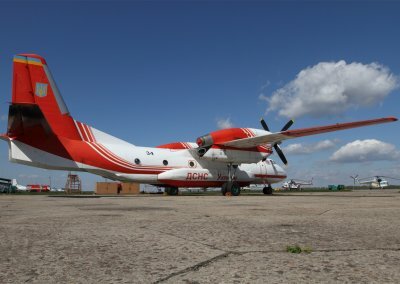 The An-26 was later upgraded with two high-quality intensive transport MEDEVAC modules for 2 patients to ensure the best possible care during flight. The Mil Mi-8s were used for fighting forest fires but this was rather cumbersome. 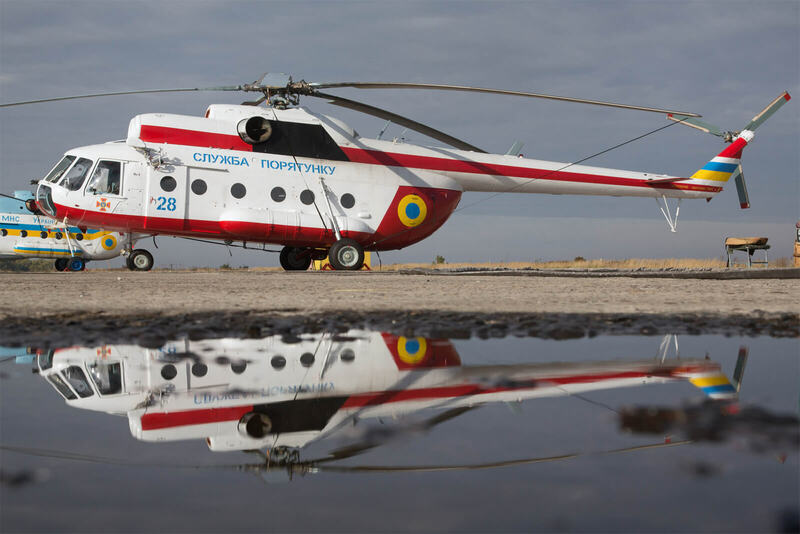 Theoretically, the Mi-8 can use a 5-ton tank for water, however, only three tons of water can be transported due the poor performance of the old engines. 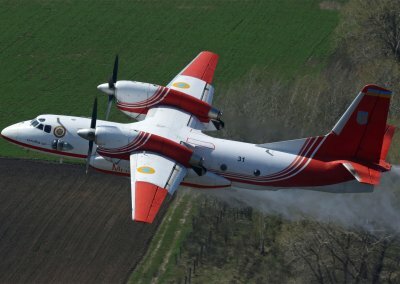 The Ukrainian Ministry of Emergency Situations looked for a better solution and found it in four An-32P “Firekiller” aircraft. 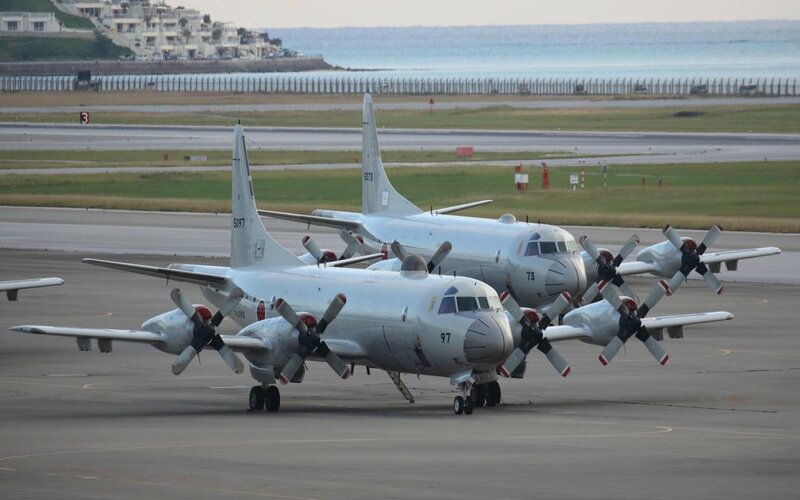 This special variant is based on the An-32 Cline transport aircraft which was developed for the high mountain regions in India (372 were produced in 1976-2005). Used in fire fighting operations, the P version can take up to eight tons of water in four tanks on board and spray it from a height of 40 to 50 meters above the fire at a speed of 240-260 km/h. 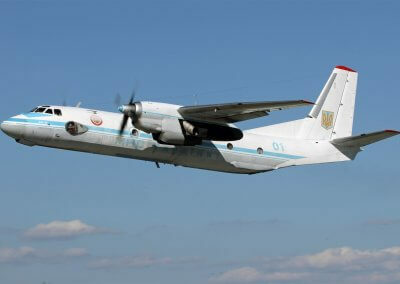 At this high the An-32 is producing an ideal water film of about 6 cm of water over an area of 1200-2200 square meters. The cockpit is equipped with a target optic that allows the second pilot to see the fire during the whole approach during the water release. Tests showed that the An-32P is more effective compared to single engine aircraft as it can carry more water. Larger aircraft such as the Ilyushin Il-76P that can carry more water have altitude limitations and it is not possible to operate at the ideal altitude from around 50 meters over the fire. The Il-76P has to fly at least 100 meters over the ground and the water then reaches the ground in very small particles. The amphibious Be-200 is able fly at similar altitudes but the pilot cannot always see the fire from the cockpit. Consequently, the Be-200 has cameras installed under the wings. The Be-200 does not allow the same accurate dropping as the An-32P. 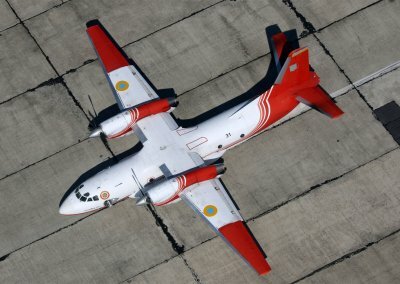 Another advantage of the An-32P is that the tanks are removeable and the aircraft is easily converted in a normal transport aircraft with a freight load of eight tons cargo or up to 50 people. Furthermore, the dropping of auxiliary goods by parachute is also possible via the freight ramp as in the case of the An-26. 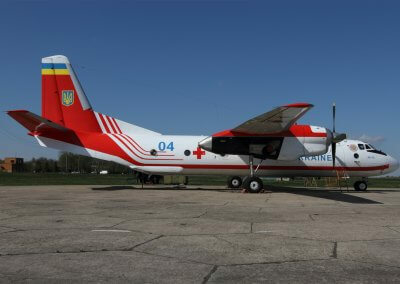 The first transfer of an An-32P to the Ukrainian Ministry of Emergencies were new build aircraft from Kiev in early 2008. A relatively new acquisition in 2009 were two EC-145 helicopters with a complete intensive care package for two patients from the Austrian company Air Ambulance Technology. Thanks to the “quick-change” principle of the Austrian company, the equipment can be installed or removed within 20 minutes. Thus, the EC-145 helicopter can be converted in a very short time for other missions, such as fire fighting operations, reconnaissance, transport or passenger flights, and gives the operator maximum flexibility. 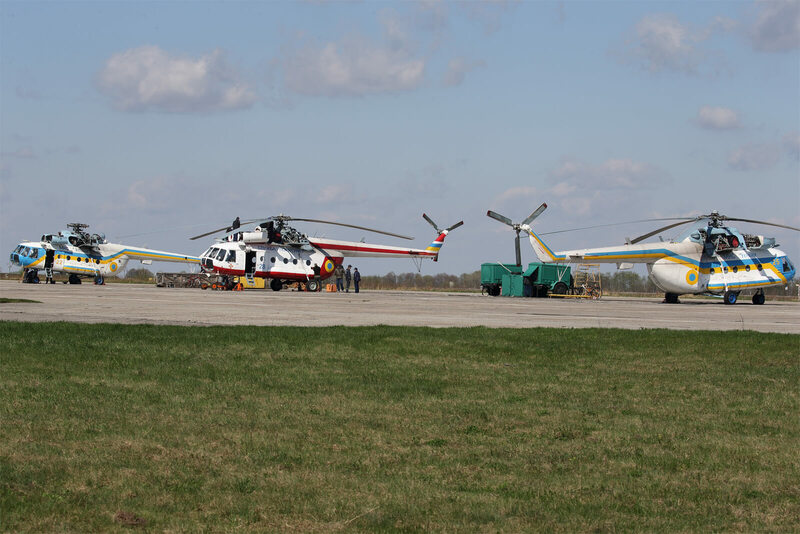 Like all other aircraft, the two EC-145s are stationed at Nizhyn (Chernihiv region). 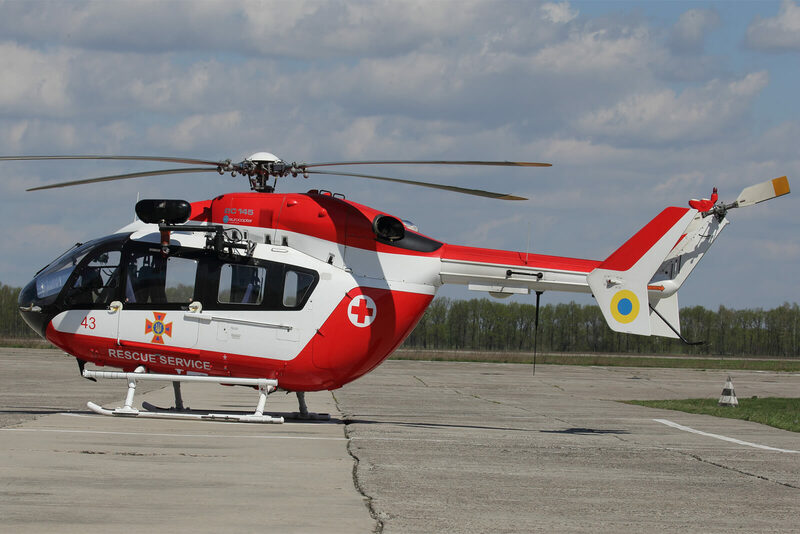 With the new acquisition, the Ukrainian state was now able to offer its citizens helicopter-based emergency medical and rescue flights to the highest standard. 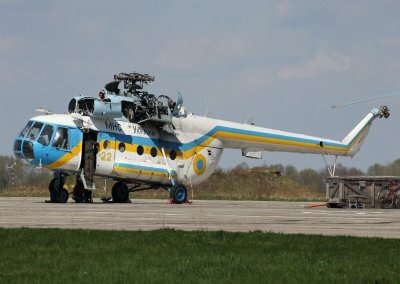 Some of the Mil Mi-8s are undertaking a modernisation program by the engine manufacturer in Zaporizhia after which they are designated Mi-8MSB-V. Performance-enhanced engines are used which allow the modern Mi-8 to operate at altitudes over 2,000 meters and at extremely high or low outside temperatures. A new world record was set in August 2014 by reaching an altitude of 9,150 meters using a Mi-8MSB-V. 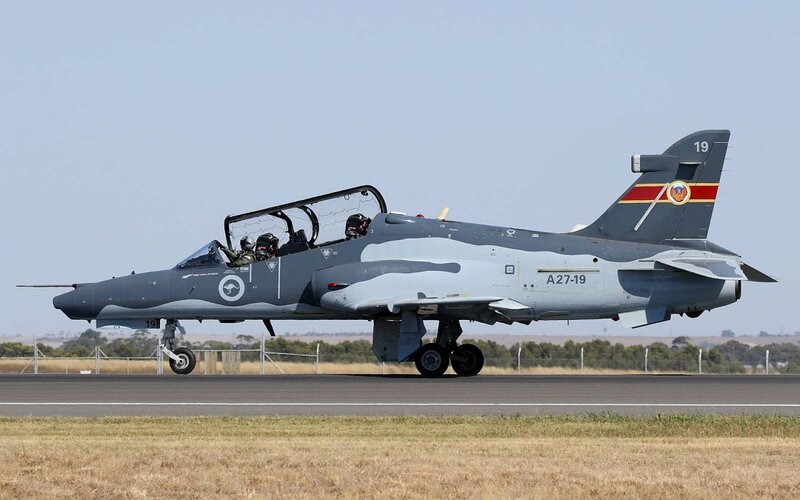 The test pilots needed just 29 minutes and 30 seconds for the record flight. 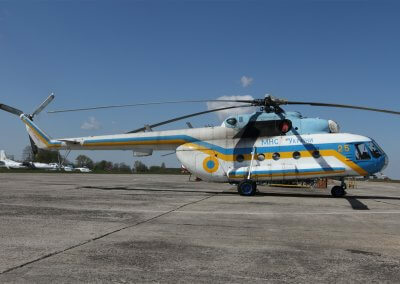 The Mi-8 is still the first choice helicopter in Nizhyn. 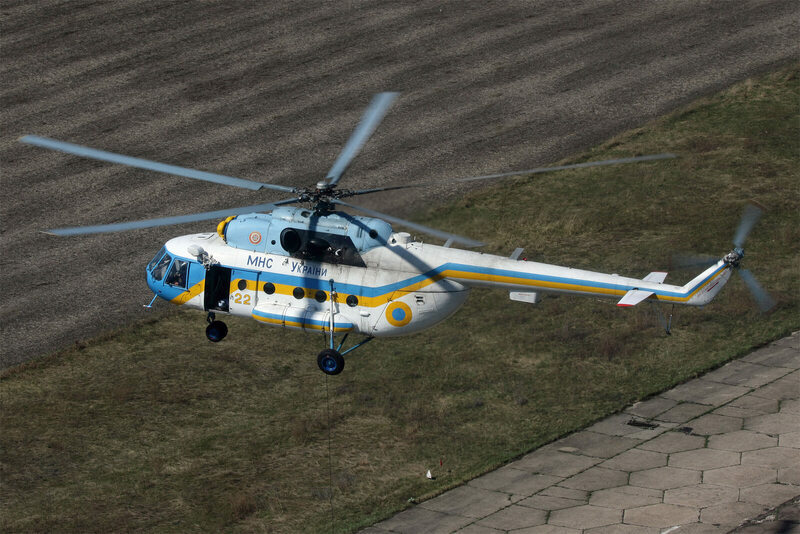 One flight hour in the Mi-8 is more expensive than the EC-145, but the Mi-8 can handle more payload and has more space. 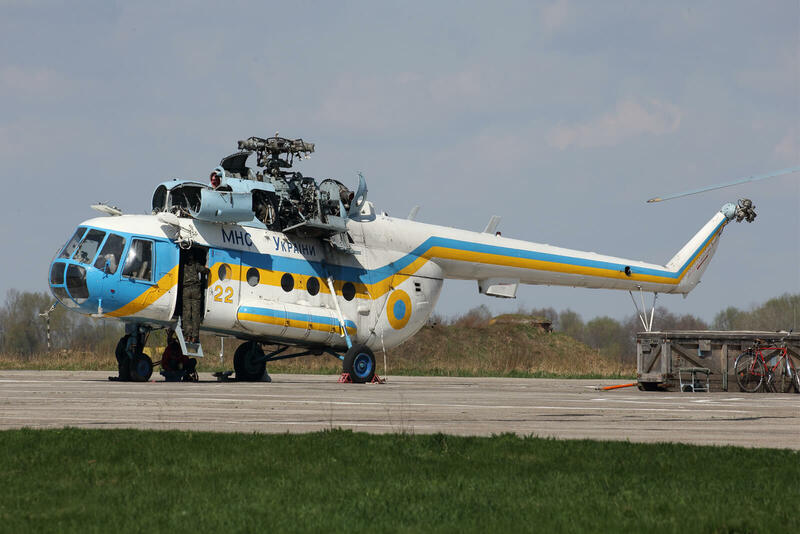 In addition, maintenance of the Mi-8 in Ukraine is much easier. 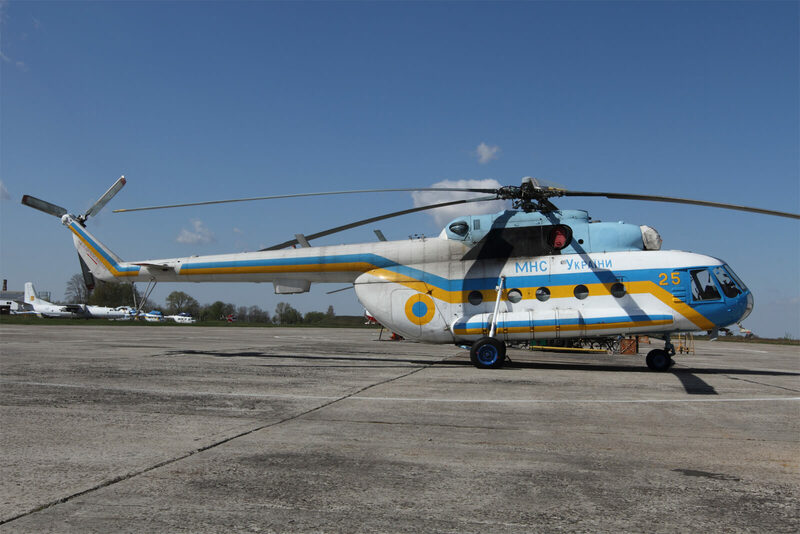 A total of five serviceable Mi-8s are currently available for the Mi-8 outposts and detachments operate in Kharkiv, Ushchorod and Odessa. The exchange of the 5-man crews takes place on a weekly basis and the exchange crew normally travel by train to their new place of operation. 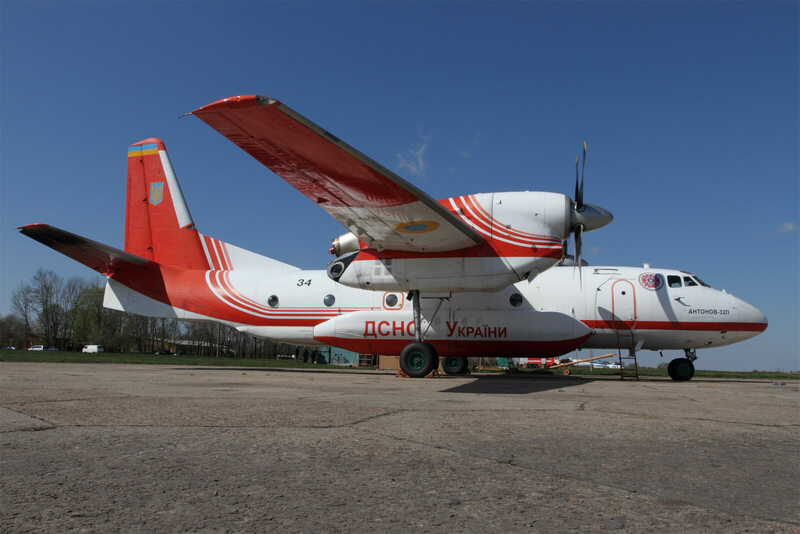 Since September 2016 an An-32P has been stationed in Odessa for fire fighting operations. The operational aircraft in Nizhyn currently consist of seven aircraft (two An-26, one An-30, four An-32P “Firekiller”) and around ten helicopters (EC-135, Mi-8MSB-V, Mi-8MTV, Mi-8MT and Mi-9). However, the number of flight-ready aircraft should be increased in the near future, focusing specifically on the helicopters. The re-commissioning of the Mi-2 is also being discussed. For this type of helicopter, the engine requires a modernisation program similar to the Mi-8MSB-V. 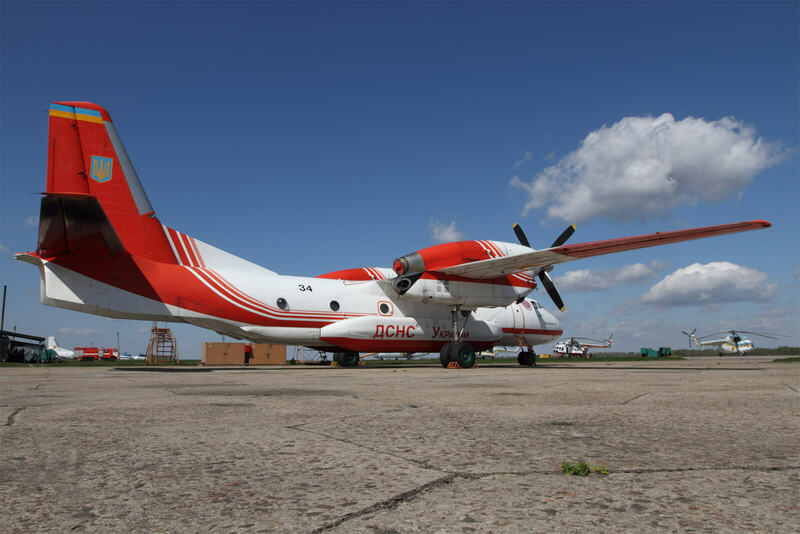 In the long term, the procurement of the Antonov An-148 is also being considered. 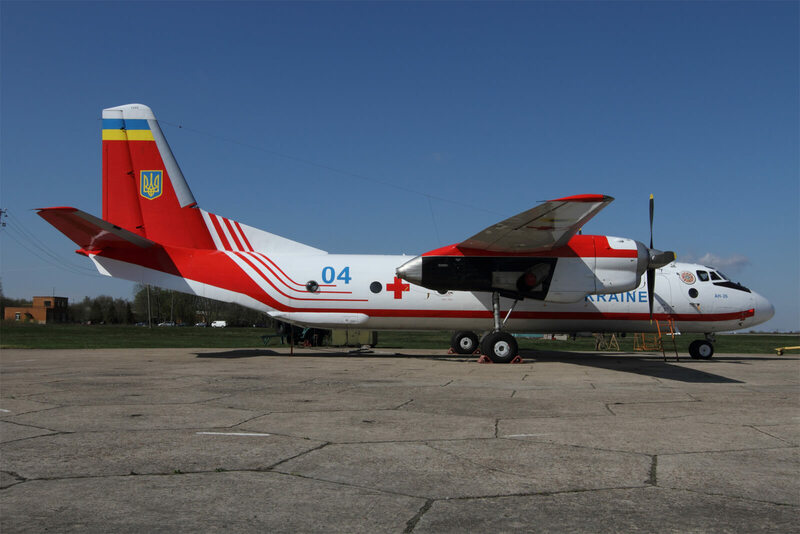 Only with an aircraft of this category and range would it be possible for rescuers to organize and carry out evacuations of Ukrainian citizens from crisis regions worldwide within a short time. A deal was signed in March 2018 between Airbus Helicopters and Ukraine for a mix of 55 H145, H125 and H225 helicopters for all the armed forces. 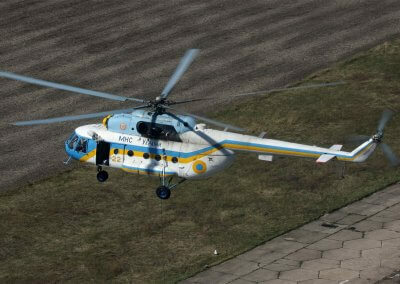 It is anticipated that seven H225s will be assigned to the State Emergency Service and the unit at Nizhyn will create a third squadron for the new helicopter type. 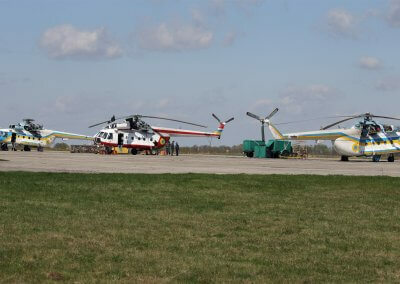 At least two more locations, including Ivano-Frankivsk, will be equipped with a permanent helicopter detachment. 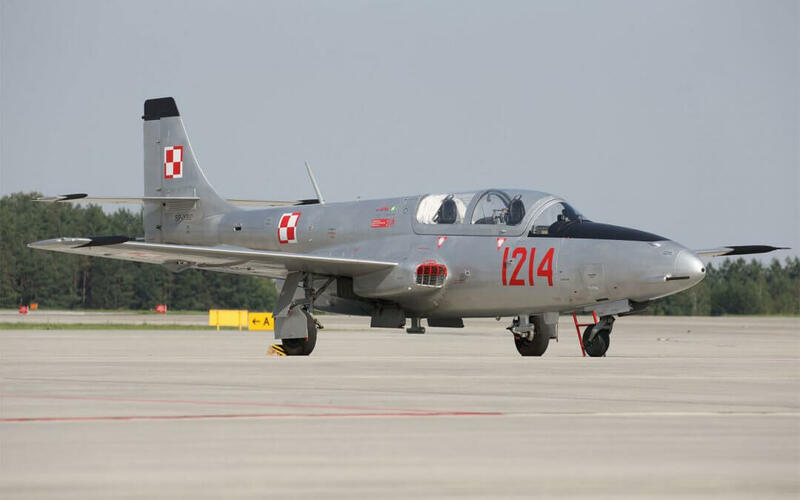 Aviation Press Limited would like to thank the Ukrainian State Emergency Service for hosting our visit, Alexander Golz and Valeriy Romanenko for their assistance with the article as well as their help along with 4Aviation in arranging the visit.